Wouldn’t it be nice if instead of working for the man, you could just sit at home and play video games all day and get paid to do it? We’re sure many of us have had this thought. Especially since some of the most popular game streamers out there are making comfortable six-figure incomes or perhaps even more to go along with worldwide stardom. But, let’s bring it back down to earth for a minute here, if you are the average gamer willing to put in the time and effort to stream. How much could you reasonably expect to make? And just where does all this money come from anyway? How A Twitch Streamer Will Earn? So, here we go. If you are smaller time Twitch streamer then you will focus on Twitch, since it is the market leader right now. You’re just getting started and through a combination of good gameplay with fascinating charisma and devilishly good looks, you built up a small base of yours. Then if you’ve got up to 50 followers you can become a Twitch affiliate, which at some point will give you a share of the pre-roll ads that Twitch runs against the stream. But, that typically isn’t much money in the grand scheme of things. Much more important is that it gives you additional monetization option with one of the most significant ones being subscription. 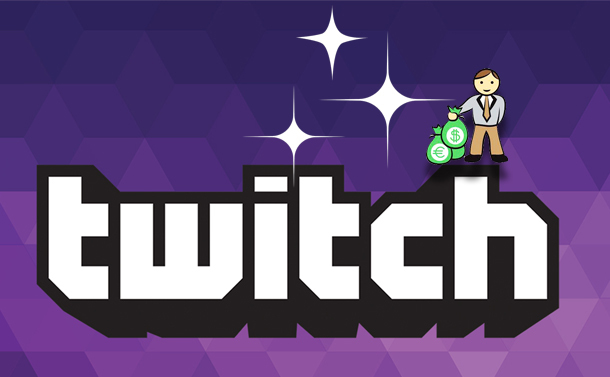 On Twitch, subscriptions are a little different than they do on sites like YouTube. Although streams are free to view, some fans choose to subscribe to streamers of their like. Which normally supports streamers financially but gives the subscribers perks like special emoji and badges for use in the chatroom as well as the ability to watch streams without any Twitch advertisements. So, at the time of writing Twitch subscriptions cost between 5-25 US Dollars per month depending on how much the user wants to pay. With the money split half-half between the streamer and the Twitch platform. End viewers can also purchase what are called bits, which is essentially animated emoji that appear in the chat window. When your friends cheer with their bits, you receive a cut of the money that they spend on those bits. Viewers additionally have the option for simply donating their contribution directly to you without subscribing. The benefit of this method is that there is no revenue share with Twitch. So, for some streamers this can be a big deal. But, this comes with the drawback that there is no auto renewal. So, it can be a little unpredictable. Affiliate programs, not to be confused being a Twitch affiliate, are yet another popular source of income. This is why many Twitch streamers have a links to the streaming gear they use, the games they play, products and features on the stream or just a box to buy random things on Amazon. Every time a viewer clicks on one of these links and buy something, the streamers will get a small kickback. Now, to be clear if you are just an affiliate running a smaller channel you will be looking at any life-changing sums of money from anything we mentioned so far. However, if your stream becomes popular enough, let’s say you regularly have hundred or even a couple hundred people watching your stream at once, you can apply to become a Twitch partner. Which has a potential to give you much more exposure, if your application is approved. You get the monetization features we talked about. But, because Twitch will start recommending your stream to viewers, actively putting your in content in front of more people. You will not only make more money from subscription and donations, but you might also get offers for sponsorships that you can run on your stream. This can include a banner, product placement opportunities like a specific brand gaming chair, merch stores that will help your friends buy hoodies with your face on it and give you a cut. Or even invitations to conventions like Pax where you can get paid for making an appearance. But, the road to becoming a streamer of this caliber can be long and hard. As the competition is fierce. And even if you genuinely are talented, building up a loyal base fan doesn’t happen overnight. Many pro streamers have cautioned against trying to break in to the professional streaming scene if your primary motivation Is money. Let’s ignore it for a moment though and finally answer a $64000 question. If you do make it as a pro what kind of income can you be looking at? Finally, enough 64000 bucks might not be too far off the mark as many full-time streamers who have found sustainable employment in playing video games for an audience might make between 3000-5000 bucks per month. Not exactly a good money but certainly enough to think about it as a full-time rather than as a hobby. As for the very successful streamers they can use their popularity on Twitch to land deals with outside sponsors and sell even more merch meaning six and even seven figure incomes. Make sure that in addition to your gaming skills, you have something to offer your viewers. Anything that helps you stand out is a good thing. Is There A Way To Monitor Your App’s Reputation?